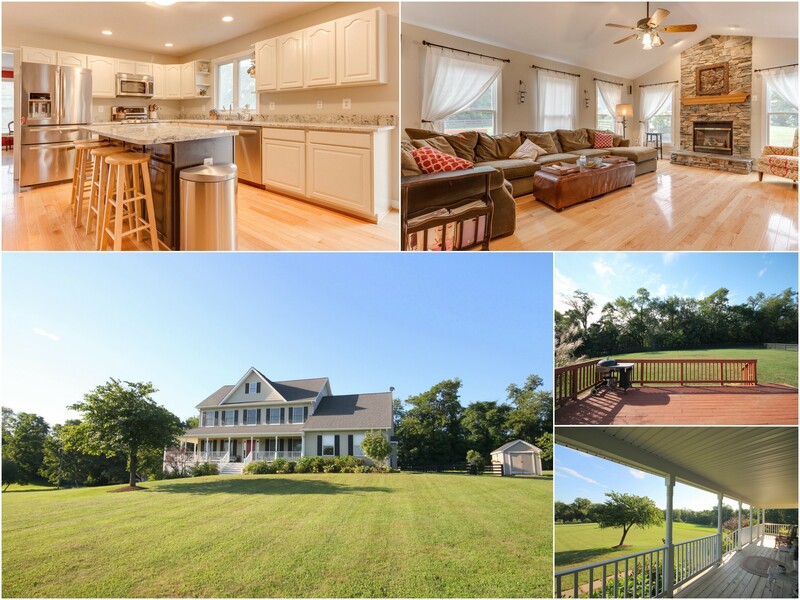 Beautifully Updated Home in Lovettsville on 3.7 Acres goes Active in the MLS Friday, 9/30/16! Wraparound Front Porch, Fresh Paint, Hardwoods on Entire Upper 2 Levels, Updated Kitchen w/New Granite Counters, Refreshed Cabinets Painted Antique White w/Accent Color on Center Island, Stainless Steel Appliances, Main Level Library, Family Room w/Stacked Stone Gas Fireplace & Cathedral Ceilings, Spacious Master Suite, Bedroom Level Laundry, Finished Walkout Basement w/Huge Rec Room with Wet Bar & Full Bath, Deck off Main Level overlooks Fenced Back Yard & Trees, 2-Car Side-Load Garage & More! Call Bob Caines & The Bob Caines Team at (703) 547-0665 to schedule a showing!